Workshop Software invoices cannot be changed or added too once they have been processed. If an error has been made on an invoice then the quickest and easiest way to fix that is to delete or void the original invoice and re-enter it correctly. 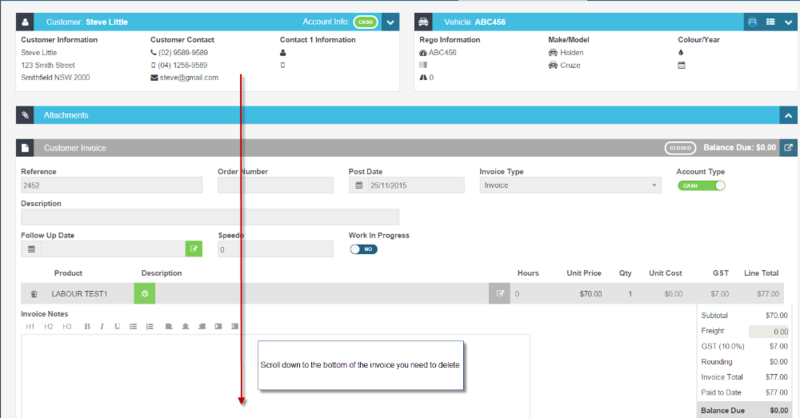 Once an invoice has been voided it will no longer exist in Workshop Software and there is no way to bring it back. Before an invoice can be voided any associated payments made against the invoice will need to be voided first. 3. 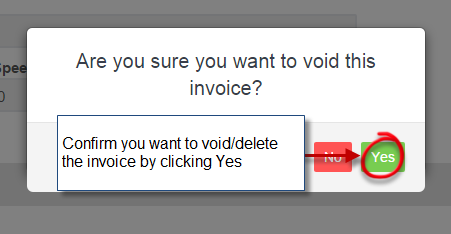 Click the green Yes to confirm that you wish to void/delete the invoice, a green confirmation bar will drop down from the top of the page to advise that the invoice has been voided.